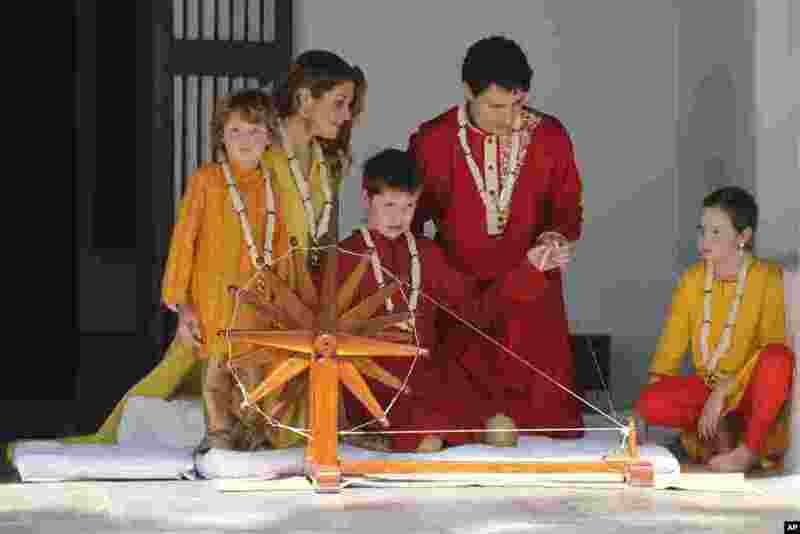 ١ Canadian Prime Minister Justin Trudeau's son Xavier tries his hands on a spinning wheel as his mother, Sophie Gregoire Trudeau, father Justin Trudeau, brother Hadrien, left, and sister Ella-Grace watch him during their visit to Sabarmati Ashram or Mahatma Gandhi Ashram in Ahmadabad, India. 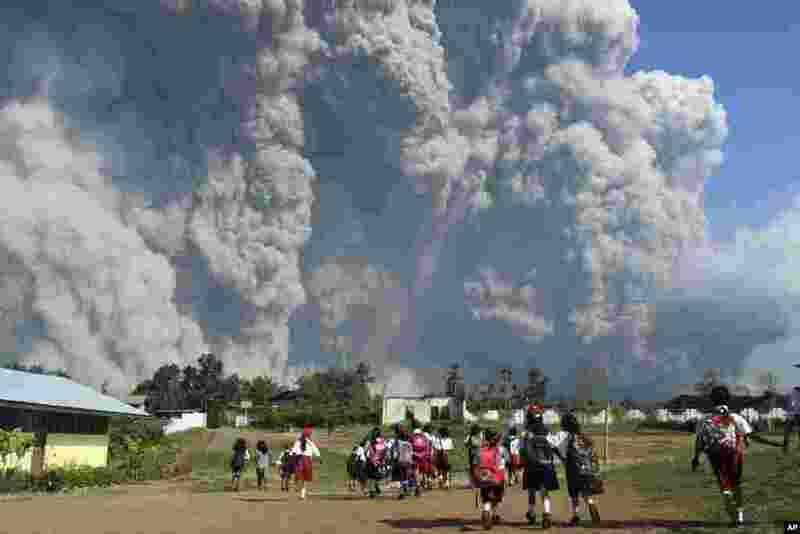 ٢ School children walk as Mount Sinabung erupts in Karo, North Sumatra, Indonesia. ٣ Nikolas Cruz appears in court for a status hearing before Broward Circuit Judge Elizabeth Scherer in Fort Lauderdale, Florida. Cruz is facing 17 charges of premeditated murder in the mass shooting at Marjory Stoneman Douglas High School in Parkland. 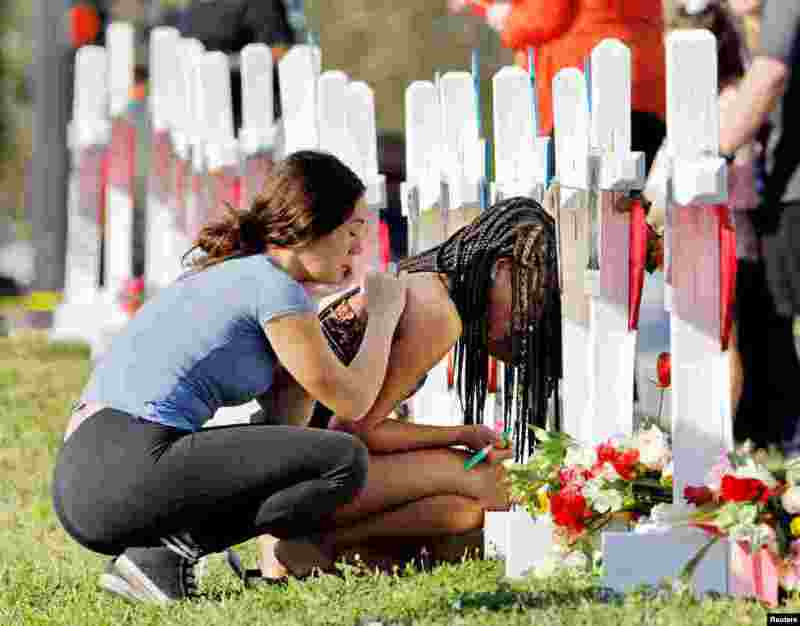 ٤ A senior at Marjory Stoneman Douglas High School weeps in front of a cross and Star of David for shooting victim Meadow Pollack while a fellow classmate consoles her at a memorial by the school in Parkland, Florida, Feb. 18, 2018.